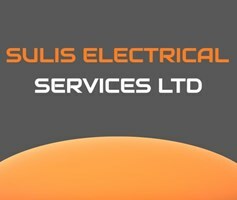 Sulis Electrical Services Ltd - Electrician based in Bath, Avon. Sulis Electrical Services Ltd provides a full range of electrical services to domestic and commercial clients in Bath,Bristol and surrounding towns and villages. All work is carried out in accordance with BS:7671 The Wiring Regulations 18th Edition. From replacement light fittings, extra sockets to new fuse boards or consumer units, through to partial or full rewires. Sulis Electrical Services can help. Sulis Electrical Services Ltd is OLEV registered and able to install Electric Vehicle Charge points under both the Homecharge and Workplace charge schemes and able to access the £500 grant from The Government to make the cost surprisingly affordable. What ever work you need doing, It is our aim to ensure you have all the information on all of the options, including which option is the most cost effective solution but most importantly the work is carried out to a high standard and done safely in full accordance with the relevant regulations. All work is covered by a 12 month guarantee and backed by the NICEIC Platinum Promise. Should you require assistance with any electrical work Sulis Electrical Services Ltd will be happy to discuss your project and provide a free no obligation quotation. Providing a full electrical installation service to Bath, Bristol and surrounding towns and villages in Somerset, South Gloucestershire and Wiltshire.